Please use the buttons below to order parts or contact our parts department. We can be reached by phone at 630-898-9630. 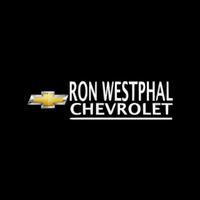 To personalize your Chevrolet to fit your style, Ron Westphal Chevrolet possesses a huge selection of genuine GM accessories in Aurora, IL. You may find off-brand auto enhancements attractive sometimes, but it is important to know that genuine GM accessories are specifically designed to fit your car. Our experts know that using off-brand products can affect your warranty or insurance. So we recommend only genuine GM accessories that are backed by the GM warranty against manufacturer defects for our Aurora, IL customers. If there’s anything you need, our qualified staff can help!